Reproduction keeps the world alive. Discipleship keeps the church alive. What was one thing that was particularly encouraging, surprising, challenging, or helpful from this message? When have you experienced true discipleship in your life? How has that shaped your walk with the Lord? Read and discuss Ephesians 4:11-32. What does this passage tell you about discipleship? Why does the Lord give such a diverse set of talents and callings to His body? What does this say about your role in the church? What are some areas where you feel God has uniquely gifted you? Are you using those gifts for the Gospel and His glory? Is there any sense in which you are depriving others of the gifting God has given you? What are some particular limitations or struggles that affect your life on a constant basis? How has the Lord used those challenges or ministered to you in them? Is there anyone with whom you currently share a discipleship relationship? If not, what can you do to find one? Spend some time in prayer that the Lord will guide you in being discipled, and discipling others. 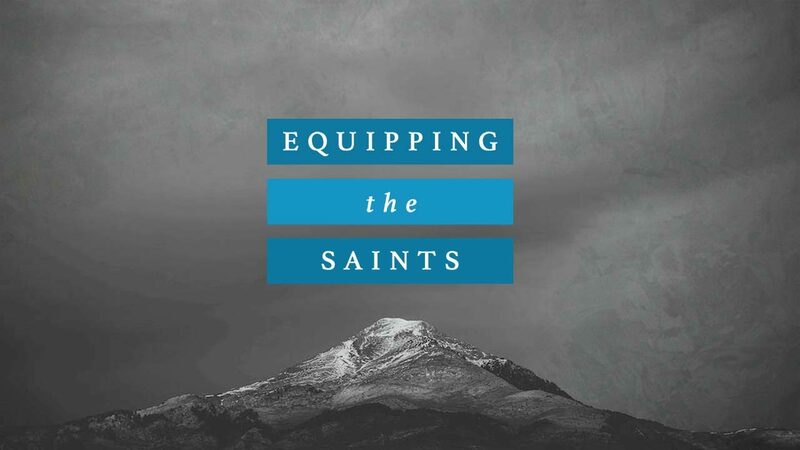 Pray that the Equipping the Saints courses at RBC will help the body be “built up” and bring “unity in the faith” (Ephesians 4:12-13).